Photos and snippets of rare home movies of Scott, Zelda, and Scottie Fitzgerald. Youtube . "As Big as the Ritz: Scott and Zelda go on inspiring new books," by Adam Gopnik. New Yorker 22 September 2014. "F. Scott Fitzgerald's Tense, Unhappy Relationship With Hollywood," by Deirdre Clemente. The Atlantic 7 May 2013.
" I'd Die For You Gives A Glimpse Into F. Scott Fitzgerald's Writing Life." On the publication of 18 stories from Fitzgerald's later years, previously unpublished or uncollected. National Public Radio , 30 April 2017. The Great Gatsby . Selected for "The Big Read," Erika Koss, editor. Inculdes a plot summary, a short biography, and discussion questions. National Endowment for the Arts. "A brief life of Fitzgerald." A short biography of F. Scott Fitzgerald by Professor Matthew J. Bruccoli. "F. Scott Fitzgerald." A very short introduction to Fitzgerald. From the educational publisher Heath Anthology of American Literature . Also from Heath, a brief F. Scott Fitzgerald teaching guide, edited by John F. Callahan and John Alberti. "Fitzgerald's Radiant World," by Thomas Flanagan. The New York Review of Books , 21 December 2000. F. Scott Fitzgerald Library of America editions. Beuka, Robert. American Icon: Fitzgerald's The Great Gatsby in Critical and Cultural Context (Boydell & Brewer 2011) [jstor book preview]. Callahan, John F. "F. Scott Fitzgerald's Evolving American Dream: The 'Pursuit of Happiness' in The Great Gatsby , Tender is the Night , and The Last Tycoon. " Twentieth Century Literature 42, 3 (Autumn 1996) pp 374-95 [free at jstor]. Canterbery, E. Ray "Thorstein Veblen and The Great Gatsby ." Canterbery contends that "much of the socioeconomic satire informing The Great Gatsby " reflects the influence of "that earlier adversary of conspicuous consumption and pecuniary emulation, Thorstein Veblen." Journal of Economic Issues 33, 2 (June 1999) pp 297-304 [free at jstor]. Coleman, Dan. "Gatsby and the Dynamics of Dialogue." Style 34, 1 (Spring 2000) [questia subscription ser service]. Johnson, Robert, Jr. "Say It Ain't So, Jay: Fitzgerald's Use of Baseball in The Great Gatsby ." The F. Scott Fitzgerald Review 1 (2002), pp. 30-44 [free at jstor]. Kehl, D.G. "Writing the Long Desire: The Function of Sehnsucht in The Great Gatsby and Look Homeward, Angel " [and Thomas Wolfe]. On the mood of longing, homesickness, and nostalgia that is found in much modern American literature. Journal of Modern Literature 24, 2 (Winter 2000/2001) pp 309-19 [free at jstor]. Margolies, Alan "The Maturing of F. Scott Fitzgerald." Twentieth Century Literature 43, 1 (Spring 1997) pp 75-93 [free at jstor]. Murtaugh, Taylor S. "Why We Believe Nick Carraway: Narrative Reliability & American Identity in The Great Gatsby ". Trinity College Digital Repository, Hartford, CT.
Pekarofski, Michael. "The Passing of Jay Gatsby: Class and Anti-Semitism in Fitzgerald's 1920s America." Nativism, religious bigotry, and anti-immigrant sentiments in the South, Mid-West, and East Coast US in the 1920s The F. Scott Fitzgerald Review 10 (2012), pp. 52-72 [free at jstor]. Will, Barbara. " The Great Gatsby and the Obscene Word." College Literature 32, 4 (Fall 2005) pp 125-44 [jstor preview or purchase]. Antolin, Pascale. New York in The Beautiful and Damned : 'A City of Words.'" The F. Scott Fitzgerald Review 7 (2009), pp. 113-125 [free at jstor]. Berman, Ronald. Modernity and Progress: Fitzgerald, Hemingway, Orwell (U of Alabama P 2005) [complete book at questia subscription service]. Berryman, John. "F. Scott Fitzgerald." A major poet evaluates Fitzgerald's achievement, in 1946. The Kenyon Review 8, No. 1 (Winter, 1946), pp. 103-112 [free at jstor]. Bruccoli, Matthew J. The Far Side of Paradise: A Biography of F. Scott Fitzgerald . A review of Bruccoli's major biography, by Linda W. Wagner. American Literature 54, 2 (May, 1982), pp. 304-306 [free at jstor]. Donaldson, Scott. "Scott Fitzgerald's Romance with the South." On the contrasting values of North and South in Fitzgerald's stories. The Southern Literary Journal 5, 2 (Spring 1973) pp 3-17 [free at jstor]. Jolliff, William G. "The Damnation of Bryan Dalyrimple-and Theron Ware: F. Scott Fitzgerald's Debt to Harold Frederic." On Fitzgerald's debt to late nineteenth century American naturalists. Studies in Short Fiction 35, 1 (Winter 1998) [questia subscription service]. Kazin, Alfred, ed. 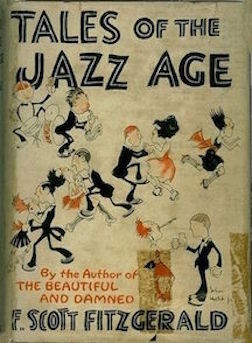 F. Scott Fitzgerald: The Man and His Work (1951) [complete book at questia]. Mizener, Arthur. Some Sort of Epic Grandeur: The Life of F. Scott Fitzgerald . A review of Mizener's trailblazing biography, by John T. Flanagan. Minnesota History 32, 2 (June 1951), pp. 115-117 [free at jstor]. Nowlin, Michael. "'The World's Rarest Work': Modernism and Masculinity in Fitzgerald's Tender is the Night ." College Literature 25, 2 (Spring 1998) pp 58-77 [jstor preview or purchase]. Prigozy, Ruth. "'Poor Butterfly': F. Scott Fitzgerald and Popular Music." On Fitzgerald's interest in the music of his time. Prospects 2 (Oct. 1977) pp 41-67 [abstract or purchase from Cambridge UP]. Ullrich, David W. "Memorials and Monuments: Historical Method and the Construction of Memory in F. Scott Fitzgerald's 'The Ice Palace.'" Studies in Short Fiction 36, 4 (Fall 1999) [questia].